The 2019/20 tax year is upon us. And with it will bring a number of changes that are sure to affect those who submit Self Assessment tax returns. Keep on top of these changes and you can guarantee that you’ll not only continue to comply with the relevant legislation, but also know how to be more tax-efficient. The tax-free Personal Allowance will increase by £650 to £12,500, and the basic and higher rate bands will change too. The basic band for 2019/20 is at £12,501-£50,000, the higher at £50,001-£150,000, and the additional rate band remains at £150,000. This will require you to pay 20%, 40% and 45% tax on your earnings respectively. These bands are applied to any income that is classed as ‘non-savings’ and ‘non-dividend’. As you will need to earn more than you do currently, the Income Tax changes will see 30.6 million people’s bill reduced. There are limits on the Personal Allowance. If you earn over £100,000, then every £2 above the amount will result in £1 being subtracted from it. Income that exceeds £125,000 won’t be able to use the Personal Allowance at all. If you’re located in Scotland, then the Income Tax rates and thresholds are slightly different. NICs are changing too. The threshold for Class 1 National Insurance contributions will rise to £8,632 from £8,424. If you earn under £50,000, then you’ll pay 12% of your earnings towards these. For any income above this amount, an extra 2% will be due. Class 1 contributions are only owed if you have been in any employment within the tax year. Those that undertake work that is classified as ‘self-employment’ may be required to pay Class 2 and 4 rates. There are certain jobs that have the option to be exempt, including landlords and ministers of religion. Class 2 contributions are due on earnings more than £6,205, and are £3 per week. If your income is above £8,632, then you would need to make Class 4 contributions – 9% of your earnings. And if they exceed £50,000, then you’ll owe an additional 2% on the profits over this. You may also be required to pay other taxes, depending on your circumstances. For example, if you need to submit a Self Assessment because you’re a director of a limited company and therefore pay dividends, you should pay tax on these. The dividend tax rates are not changing this tax year, and so remain at 7.5% for basic-rate payers, 32.5% for higher-rate payers, and 38.1% for additional-rate payers. VAT rates are also still the same. However, the HMRC submission process is changing, with Making Tax Digital (MTD) for VAT coming into play a few days before the new tax year. Digital submission aims to reduce the time taken to deal with your taxes, allowing more time for productivity. This will help you to increase your income, and you can offset your expenses to reduce the tax you pay on earnings. You can also lessen your tax liability by taking advantage of Self Assessment software. 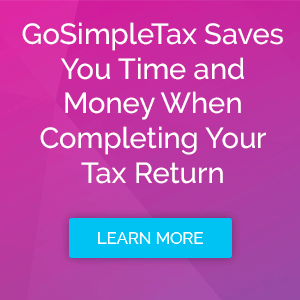 GoSimpleTax’s tools provide tax-saving recommendations, on top of giving you the means to input your information throughout the year. Additionally, it delivers automatic calculations so you can have full visibility of your financial situation – whether it’s the start, middle or end of the tax year. To get ahead before the 2019/20 tax year comes around, trial our software for 14 days at no cost.